Wineware's Top 5 gift ideas for Father’s Day! Spoil your dad this Father’s Day with some great wine, whisky and beer related accessories from Wineware. With the World cup just around the corner, we doubt he’ll be moving far from his armchair in the next month! So why not give him the perfect glass to accompany his favourite drop of Wine, Whisky or Beer so he can enjoy the match even more. Below we have listed our recommended father’s day gifts, but there are still plenty of others to choose from on our site. Be sure to order a special gift in plenty of time, you can order your presents from Wineware with fast UK delivery so there is no need to worry! The Beer Classics range from Spiegelau is by far our most popular beer glass collection. 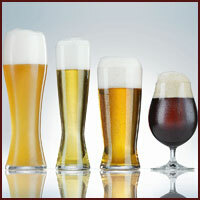 The range has specific beer glasses for Lager, Wheat Beer, Pilsner and the newly released Indian Pale Ale and Stout. The glasses are packaged in sets of 2 and in gift boxes, making them the perfect gift for the beer loving Dad! 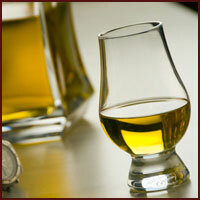 The ultimate must have whisky glass has to be the Glencairn Official Whisky Glass. This small and easy to hold whisky glass has been awarded on numerous occasions, it’s the most commonly used whisky glass around the World, used by connoisseurs, whisky lovers and blenders and the like. Available in a combination of different glass sets with different gift packaging, if your Dad is whisky mad but doesn’t use the Glencairn glass, he’s missing out! 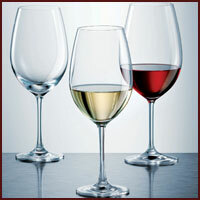 For any wine loving Dad, the Schott Zwiesel Ivento range is more than a great starter glassware collection. If he’s a keen wine drinker, using the correct glassware is vital to really enjoying the wine to its fullest. Keenly priced and currently over £20 OFF the SRP, the Ivento range from Schott Zwiesel will certainly make wine drinking more enjoyable! 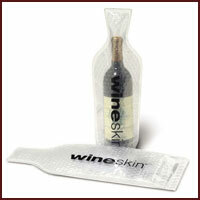 Bringing bottles of wine back from holiday is a normal occurrence, but be sure to equip your Dad for the future with Wineware’s choice of bottle protector bags. Our handy little bags will reduce the risk of bottles breaking within your luggage and will prevent your clothes and other items from being stained in Wine! 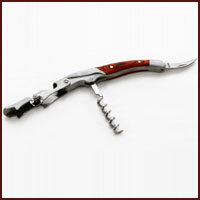 Opening a bottle of wine on Father’s Day will be a breeze if you use the Wineware Waiter’s Friend corkscrew! The built in foil cutter and double lever will make the process simple and you’ll have the wine in your glass before you know it! Packaged in a smart black gift box, this simple yet thoughtful gift will go down well with a wine loving Dad. Click here to view Wineware’s Father’s Day gift page, a whole host of ideas and presents that are sure to make his day!